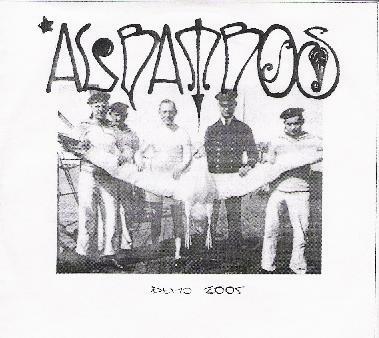 This is the third demo (I think) by Albatros and the band continues with their cool 70's style psychedelic blues rock. Uprising opens the demo and is a great track with spaced out vocals (just like I like them!) and a track that really builds up into a frenzy. Badger is next and is a slow strange bluesy psych rocker. A Badger's Tale continues this track but now the guitar takes off and some psychedelic sounds bubble up in the background for quite a strange freakout jam. The next two tracks were recorded live on Oct 7th, 2005 in Gothenburg's Musikenshus. The sound is excellent on these two live tracks. The band for sure goes for a heavy psych sound. The Way of the Gypsy Curse is quite a hard rocker, while A Thousand Leaves is a longer 7½ minute track that develops a lot more than the other tracks. Man, the band have one of the coolest web pages I have seen, so go check that out and you can hear most of these tracks on their page as well as 160kbp MP3 files. My only complaint is that several of the tracks sound a bit too much the same and they could use more guitar solos but that does not mean I did not like the stuff. Spaced out Blues rock. For more information you can visit the Albatros web site at: http://albatros.nu.